All our best wishes go to one of our founding members Roy Chatfield. His play will be at The Lights tonight. 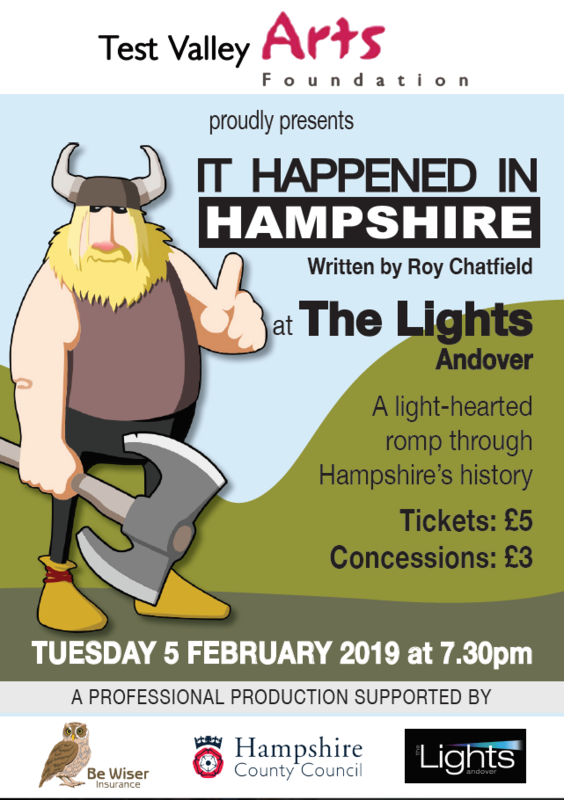 You still have time to see Alfred v the Danes in The Great Wessex Bake-off, the secret of modification triple-X, a starring role for an Iceberg and more, as three actors romp through Hampshire’s history. More happy than horrible histories. A family show suited for all ages.